UK one of eight regions to get upgrade for Box Zones. Box will allow users to spread their content storage around the world thanks to a new upgrade to its Box Zones platform. Unveiled at the company's Box World Tour event in London today, the news means that customers can collaborate and access data across the company's eight Zones regions. With GDPR coming into force today, Box says the expansion to Zones will allow customers to reduce risk and address the data protection requirements falling under the new regulations. 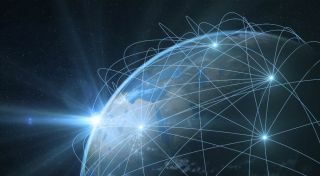 But the launch will also provide Box customers with global visibility on their data, with Zones regions being located in eight countries, including Canada, Japan, Singapore, Ireland, U.S., Australia, Germany and the United Kingdom. Businesses can alter a user's assigned Zone at any time, without the user ever losing access, and the entire operation can be controlled by a single admin console, even if multiple Zones are being used. “Business has never been more fast paced, and at the same time regulatory changes like GDPR and the ever-changing security landscape are adding complexity, making it increasingly difficult to create a digital workplace that provides employees with the information they need to be successful,” said Jeetu Patel, Box chief product officer.